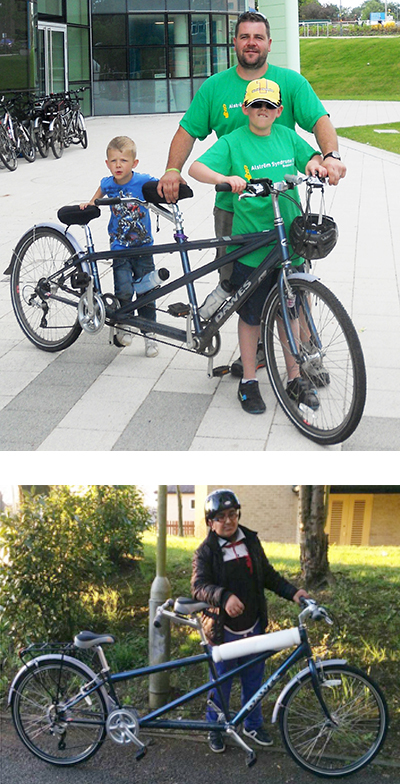 Following funding from Sport England we set-up an ASUK bike club where families and individuals can loan an adapted trike or tandem to enjoying cycling. This has been very successful and now many of our families enjoy exercising in a safe and fun way together. In 2017, we established the ‘Let’s Get Moving’ project where individuals affected have been provided with equipment to help them exercise; such as providing gym membership, or an exercise bike for use at home. We also provided a Fitbit exercise tracker to track their exercise levels and monitor information such as sleep, heart rate etc. We are hoping that this data will prove useful in learning more about the benefits of exercise and also to learn more about this complex condition.